Each year Ngāi Tahu offers a range of scholarships, opportunities and programmes. They approached Adcorp to help increase their reach and boost registrations. 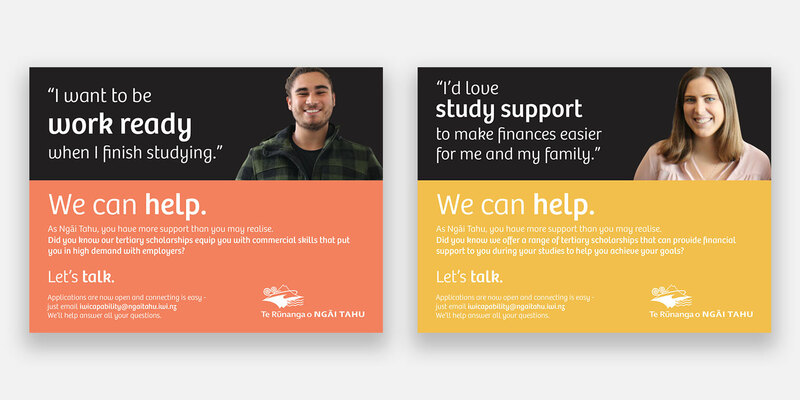 Adcorp partnered with Ngāi Tahu to develop a campaign which included key messaging and design elements. 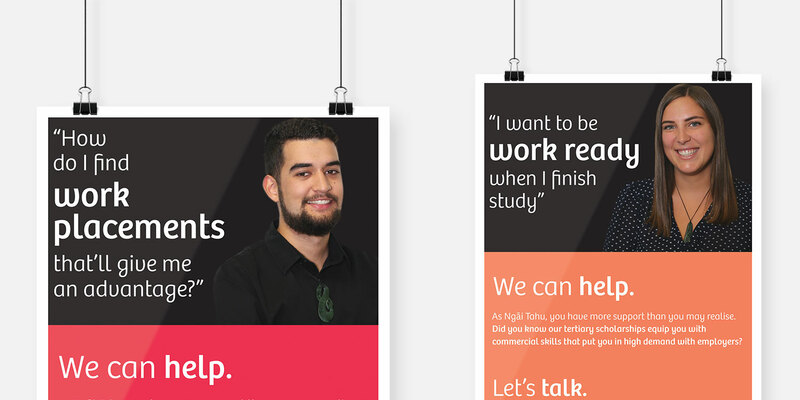 The creative messaging was supported by a plan for using specific advertising channels to encourage registered Ngāi Tahu students to apply. 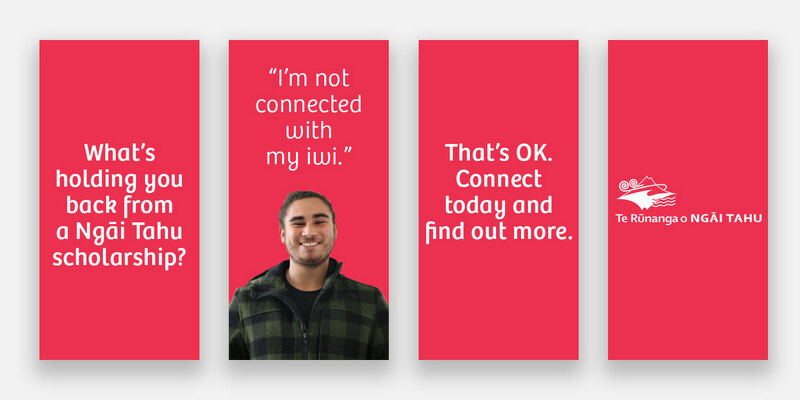 The focus was on creating a genuine motivation to connect, or reconnect with their iwi. 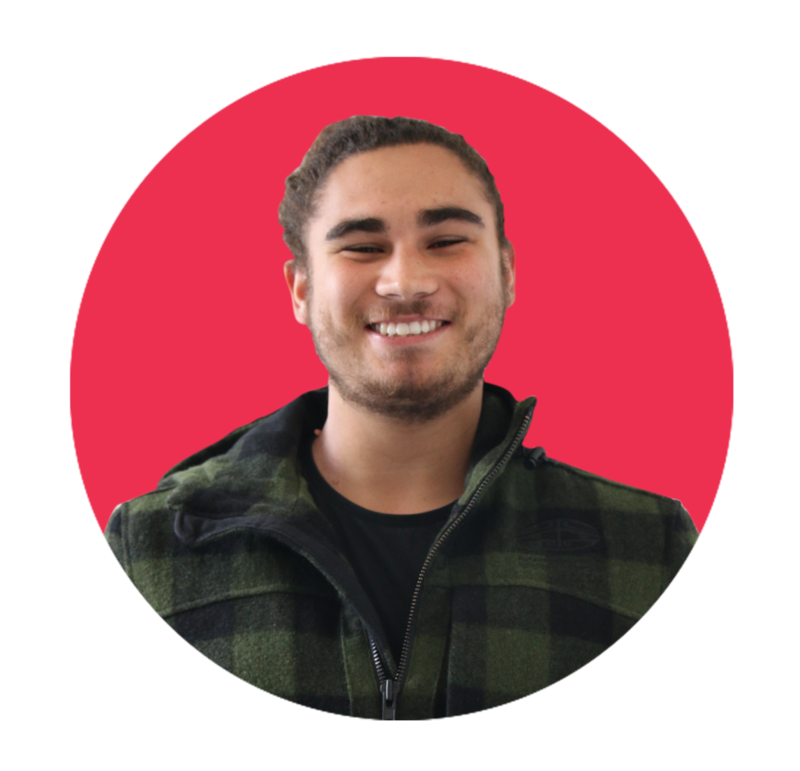 The key to the brief was building a personal connection between Ngāi Tahu and their target students and dispelling some of the misconceptions about what getting involved would mean. Adcorp highlighted the key benefits to arouse interest, and then invited potential applicants to have a conversation. Adcorp provided the creative strategy and direction for display collateral. Copy focused on a key question. Adcorp also managed on-campus activity including digital and street posters.